In a weird letter, a South Gujarat tribal rights activist, Romel Sutariya, has been asked by the Gujarat police to remain present in the police station of Chhotaudepur, a South Gujarat town, to answer queries on complaints he has made to the National Human Rights Commission (NHRC) regarding widespread illegal mining in the nearby riverbed with the active involvement of a top cop. If he refuses, he would face “consequences” and would be identified as “accused”, the police letter warns. Sutariya, who received the letter on September 1, was asked to either remain present in the police station by September 3, or reply in writing about whatever proof he has about illegal mining. Sutariya, in his complaint dated December 28, 2014 to the NHRC had alleged that there was a police-politician-contractor nexus in illegal sand mining, and pointed towards the “involvement” of a senior district police official of Chhotaudepur. The complaint had said that the riverbed was facing environmental destruction as a result of sand mining, and the rich agricultural soil in the nearby area was being adversely affected. Sutariya leads Adivasi Kisan Sangharsh Morcha (AKSM), a tribal farmers’ organization fighting on human rights and developmental issues of tribals in South Gujarat. This is the second letter Sutariya has received within the span of 10 days after the police received NHRC notice. If Sutariya ignored the earlier letter dated August 23, he was sent a second letter on September 1, where he was told that he should remain present within two days, or “alternatively give in writing whatever facts he has about the nexus”. “What is strange is that the district collector, Chhotaudepur, has insisted that there is no need for gram sabha nod in case the lease is carried out in a non-scheduled area. This the pretext under which sand mining has been continuing in Sihod village”, Sutariya said in his reply. 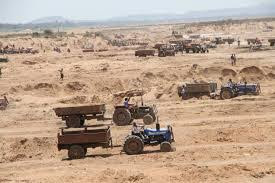 The reply – a copy of which has been sent to the NHRC for perusal – further alleges that sand mining has been continuing without any clearance from the Government of India’s Ministry of Environment and Forests (MoEF). “As per the Supreme Court direction, no mining should take place without MoEF nod. 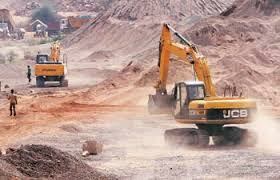 There is no evidence that sand mining in Chhotaudepur district is going on after environmental nod”, the reply said. it appears similar as the case of UP in which politicians were involved and an IAS officer was suspended for taking action. even the higher authorities hesitate to take action either because they have a share in it or because they are not responsible in their duties. somehow we have to stop these type of wrong practices but how? corruption is a biggest issue in our country. we need to mobilize people. let us do it together.